Is there anything better than drinking an ice-cold beer by the water? You can do just that at No-Li Brewhouse, the brewery that created “Spokane Style” beers and has seen their bottles shipped across the country. Enjoy one of their “Usual Suspects,” offered all year round, or a rotating seasonal craft brew, while taking full advantage of their outdoor patio that overlooks the Spokane River. Try their newly released Switch Hitter Golden Ale, which debuted earlier this summer in place of the ever-loved Creme Ale. 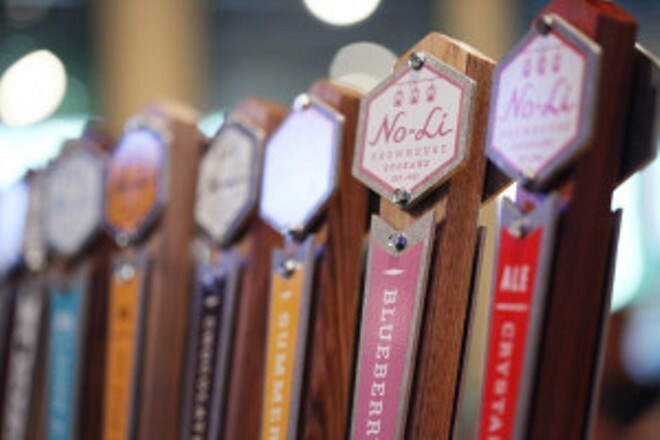 The brewers at No-Li love to experiment with flavors, so order the “randall,” which changes every few days, and prepare for taste-bud excitement. The randall is a chamber that connects to the keg, freshly infusing beer with whatever they decide to put in it that day.